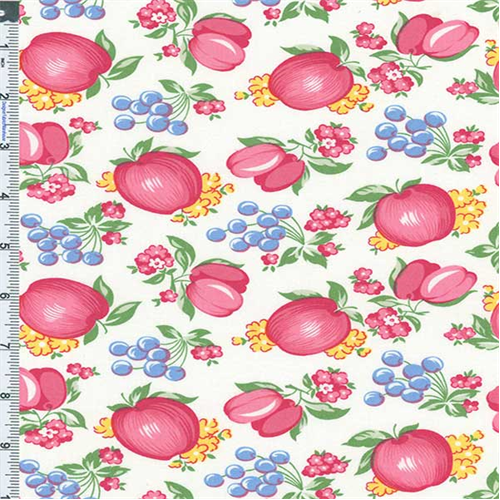 American Folk & Fabric Cotton Vintage Collection Fruit Jam Print Fabric By the yard. Reproduction vintage print by American Folk & Fabric on a lightweight plain weave cotton base fabric. Slightly firm hand feel, not drapey: suitable for quilting, curtains, and some apparel. Machine wash cold/warm, tumble dry and remove promptly. Pre-wash /shink fabric before cutting.